This is a mini acrylic stairstep riser. 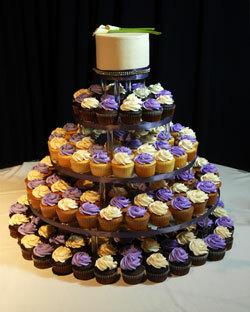 With the tiered design you can display multiple products at once on this riser. The clear and simple design allows this riser to fit in seamlessly into any current design scheme you may have in your retail space. Flame polished edges are a great touch to give a smooth finish to your riser. You can combine multiple stairstep risers to create a custom display area. 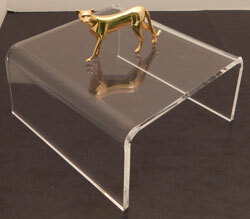 Our risers are constructed from high quality acrylic materials to ensure durability. 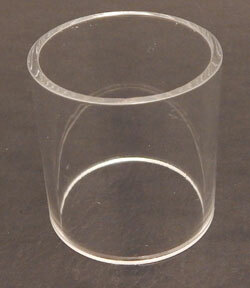 Round acrylic table display features four levels of solid acrylic shelving. Circular design offers 360 degrees of display possibility.